The film is strung together pretty well that those unfamiliar with the original films wouldn't notice that it is made from two separate films. Those who are familiar with the original films will find this film enjoyable but you will notice what's been cut, replaced, re-arranged, and re-written to the point of picking them out but in a fun way instead of an "a huh look how nerdie I am" obnoxious way. While it is fun I wouldn't say it's perfect as there are some parts where the changes just don't match up with the footage and will just come off as awkward. Action scenes are very good with a very lovely mixture of sword-play and martial arts. Some odd reason some of the death scenes have been slowed down so you can admire the gruesomeness of the death scenes. There is also a downside as the slow-motion goes on for far too long that you can make out all the rubber parts of the stunt model which takes away some of the moment of "Oh snap! that guy just got his head sliced off!". The English dub is pretty cheesy and they try to make Ogami seem a lot more heroic than what he actually is and they made all the guys he fight sound like stereotypical evil bad guys and it does take away from the characters but not enough to make you turn the movie off. The other thing about the dub is that they made Daigoro (Ogami's son) the narrator of the film and I found that to be very interesting and it gives you another perspective on what's going on. The voice acting for Daigoro is also very cheesy but isn't the worst you'll hear in this film... it isn't the best you'll hear in this film either. Special features on this release are mainly the same as the rest of the films in this box set as you get the theatrical trailer and promotional photos. While not much it is still nice to have some special features nonetheless. Overall this was a pretty fun film but after being spoilt by the original Japanese films this film is a novelty to me. If you don't watch films subtitled then this is the film for you as it has a great amount of action, a decent story although the dub is cheesy. Those who do love cheesy dubbed martial art films will get the biggest kick out of this film. Fans of the original Japanese films will enjoy this film but like me they will find this to be a novelty film. Fun viewing. That wraps it up for Samurai Week 2013 and boy did I have fun working on this. Overall the series was a very good one and was worth watching. 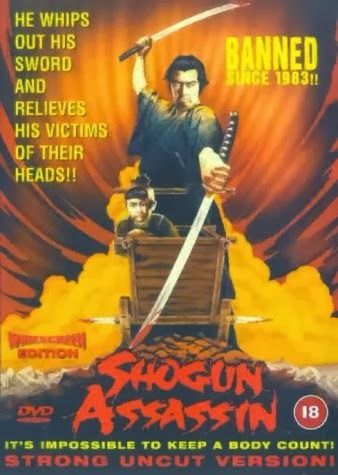 It was also very nice to see this film (Shogun Assassin) included in this set as it made for a very nice bonus. 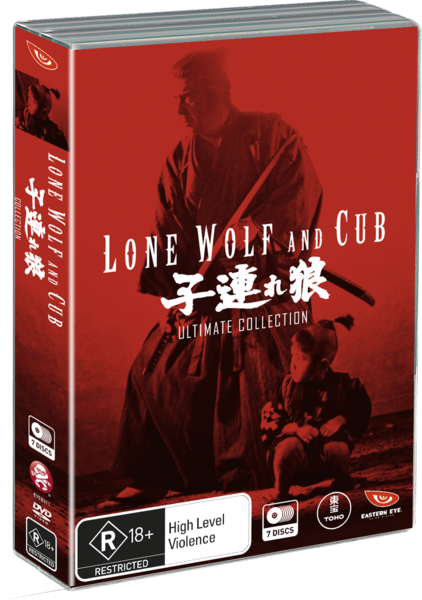 If you see this collection (Lone Wolf and Cub Ultimate Collection) sitting on store shelves I recommend buying it. This also wraps up the last themed week from me for this year. Next year you can expect "Bleach Week", "Godzilla Week", and "Super Samurai Week" to return and maybe one or two brand new themed weeks. Until then I'm James Kaiser and I'll see you in the future.